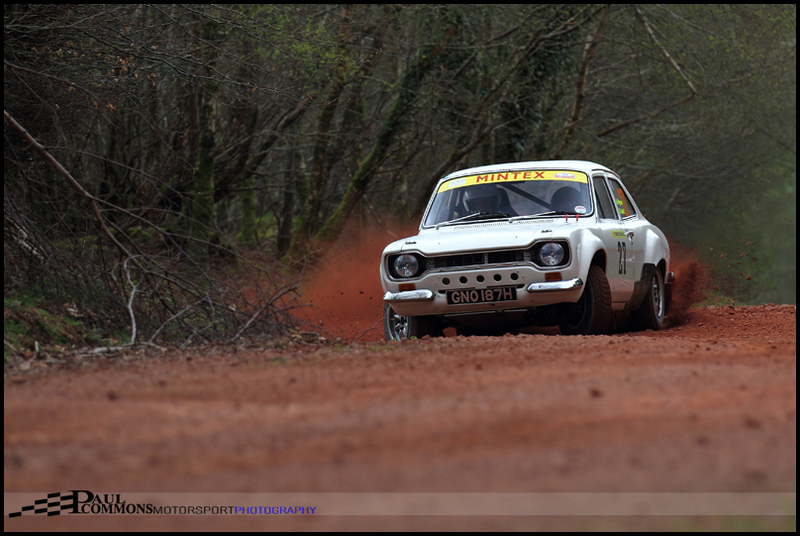 Steve Perez and Paul Spooner held off a late challenge from Stephen Petch and Ian Windress to take the Somerset Stages victory on a first stage tie breaker. In hindsight the bottle of wine in Pizza Express on friday night was not the wisest decision with such an early start. However I wasn’t driving and was suitably refreshed by the time we arrived at Knowle some three hours later. Having not attended the Somerset Stages since 2009 and with a new stage to tick off the list I was really looking forward to this one especially with four Foci and a WRC Impreza filling the top five spots on the entry list. After the misfortune of getting caught up behind a slow moving wide load on the A39 we just about reached junction 12 before the zero car arrived. As expected the light was proving to be a bit of an issue but fortunately I had come prepared with a couple of polarizing filters in an attempt to combat the anticipated windscreen glare. Not having much luck with the Hoya wide angle filter I decided to revert to the UV for a couple of shots on the inside of the junction. This was the best of the bunch with a black and white conversion a necessity in the strange light. With great disappointment, the super fast David Bogie had retired with ignition coil failure before the cars even reached stage 3. The rest of the field more than made up for his departure however with some spectacular driving around this relatively tight hairpin. The B&W polarizer I had on the 70-200 was working much better ( and to be honest, even though cheaper than the hoya filter, is a much better quality piece of kit). The Marshal’s car parked behind the junction was perfectly positioned in the sense that no practice shot was required to set the filter; but less well positioned when, along with the infamous red & white tape, it filled the background of the majority of my shots. I don’t like to overly use Photoshop but it does come in useful every now and then! 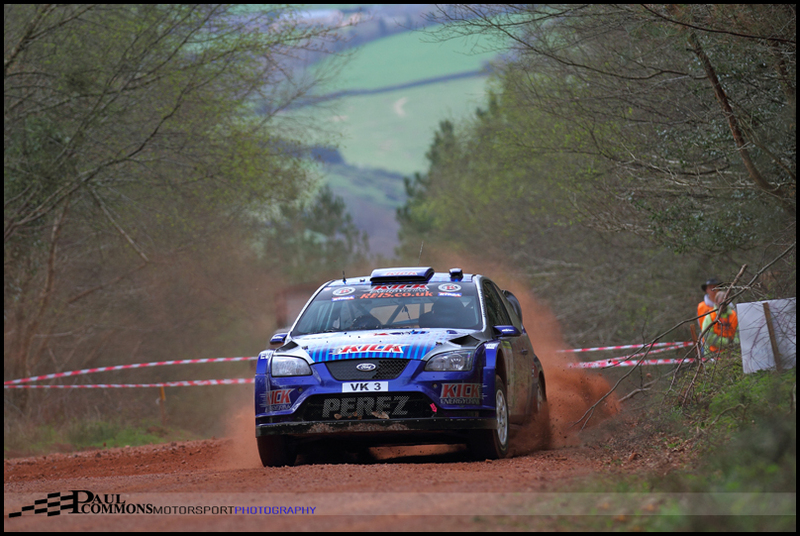 By the halfway mark, Paul Bird and Aled Davies in their Focus WRC had built up a 13 second lead over the similar machine of Steve Perez and Paul Spooner with Stephen Petch, David Weston and Luke Francis rounding out the top five. Pat Naylor and Ian Lawrence were getting the better of their Group N opposition with 6th overall whilst the in form Matthew Robinson and Sam Collis were leading the historic class in 11th. Darren Pinchin was making the most of David Bennett’s retirement and Mat Smith’s decision to miss this event by leading the 1400 section with 21st overall. With the aid of Google Maps, it was decided that junction 3 was worth a look for the second running of the stage. Listening to a couple of my Dad and Uncle’s familiar Mini related stories from their competitive days helped pass the time. I lose count of the number of times I have heard the one about the loose wheel and the nettles …. After a small delay for the recovery of stranded vehicles the leading 1400 contenders soon came into view with the light still proving to be an issue from a photographer’s perspective. 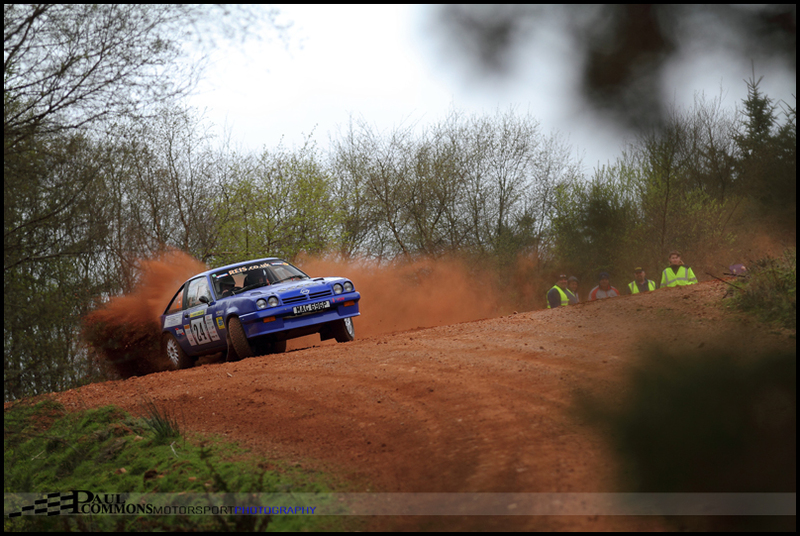 The crews were able to really attack this wide open downhill hairpin left with Jon Ballinger and Mike Wilding in their Opel Manta being by far the most spectacular through this section. A sit down with a cuppa as opposed to chasing off to the final stage was the preferred option by the time we had got back to the car. This gave time to catch up on the results and discover that Paul Bird and Aled Davies had unfortunately retired on the 10th stage of the rally with a reported broken drive shaft. This left Steve Perez and Stephen Petch to battle it out for victory. 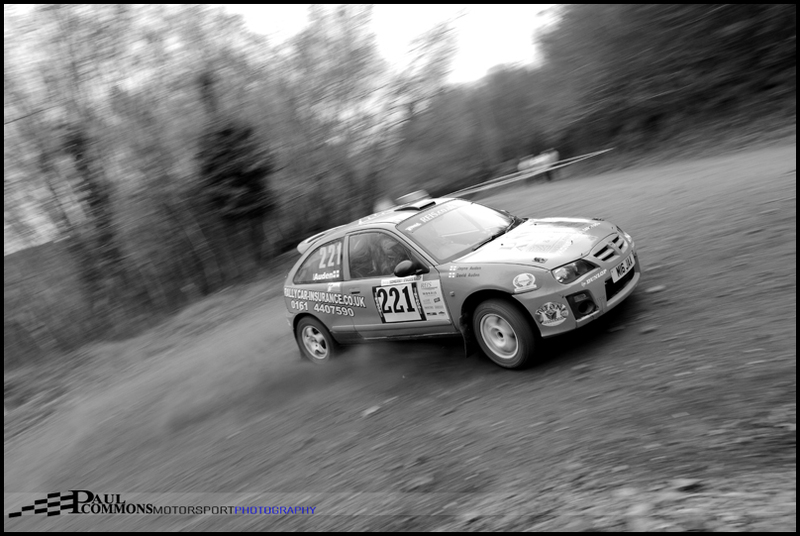 With two stages remaining Perez held a 7 second lead over Petch with David Weston a further 26 seconds back. Incredibly Petch went 3 seconds quicker in the short Timberscombe stage and then 4 seconds faster in Bats Castle to tie Perez with a total penalty of 42.28! Petch and Windress had actually won more stages throughout the day but the tie breaker rewards the the crew who are quickest out of the blocks. 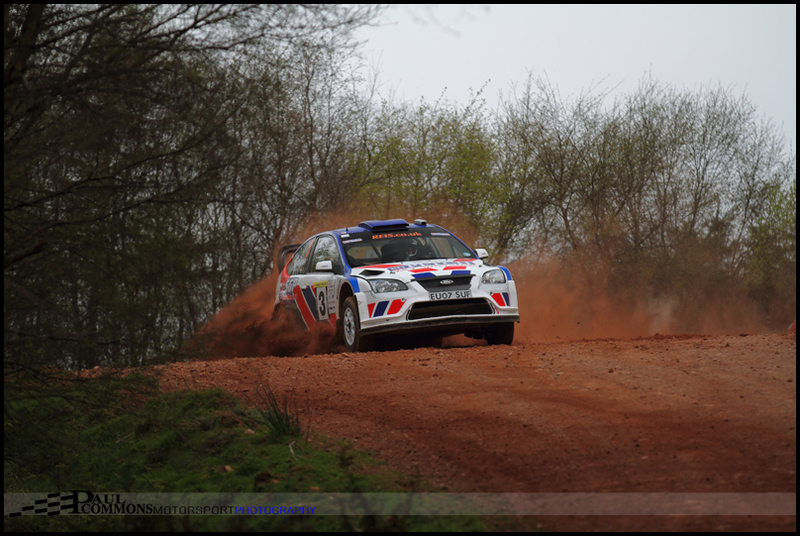 And so it was Steve Perez and Paul Spooner who would come out on top courtesy of their quicker stage 1 time. David Weston and Kirsty Riddick would consolidate a strong run with the final step of the podium while Luke Francis and John H Roberts claimed B13 honours with 4th overall. Tom Naughton and Andi Mort took the group N victory by just 1 second from Pat Naylor and Ian Lawrence after a stunning final stage push. They went into the Bats Castle finale with a 5 second deficit to make up. 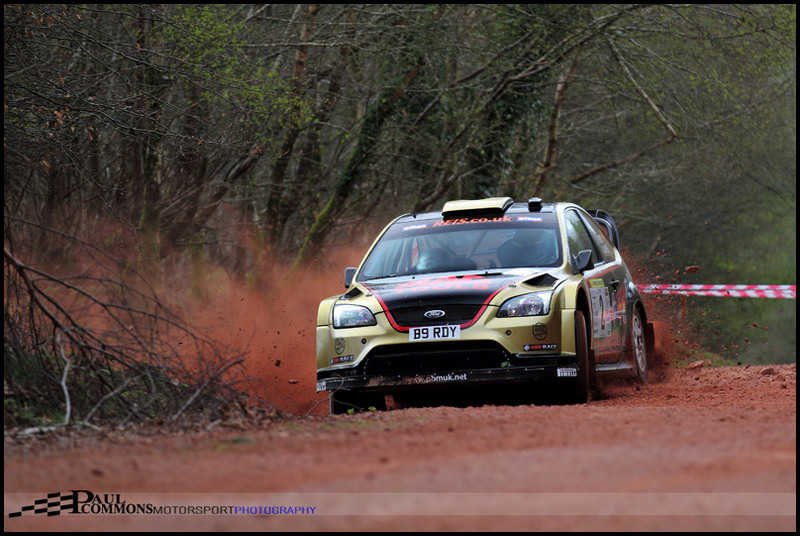 Class B12 went the way of Callum Black and Paul Wakely in their front wheel drive DS3 with 10th overall. Matthew Robinson and Sam Collis held onto the Historic lead throughout the day with 11th whilst B10 went the way of Andy Burnell and Scott Cleverdon in the Skoda Felicia Kit car. 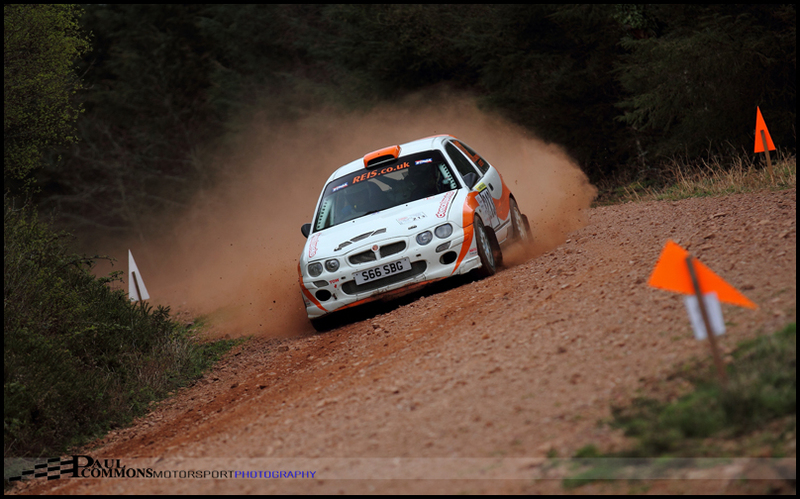 The very flamboyant Jon Ballinger and Mike Wilding claimed B11 with 18th overall and Darren Pinchin and Karen Jenkins took the top spot in the 1400 category with 19th in their Proton Satria. Minehead was the next point of call for fish and chips (Yes with the mushy peas on the chips thank you) and an opportunity to put my back out skimming stones into the sea. All in all it was a top day out. It is always good to get into new territory and Knowle proved a pretty good stage to watch. 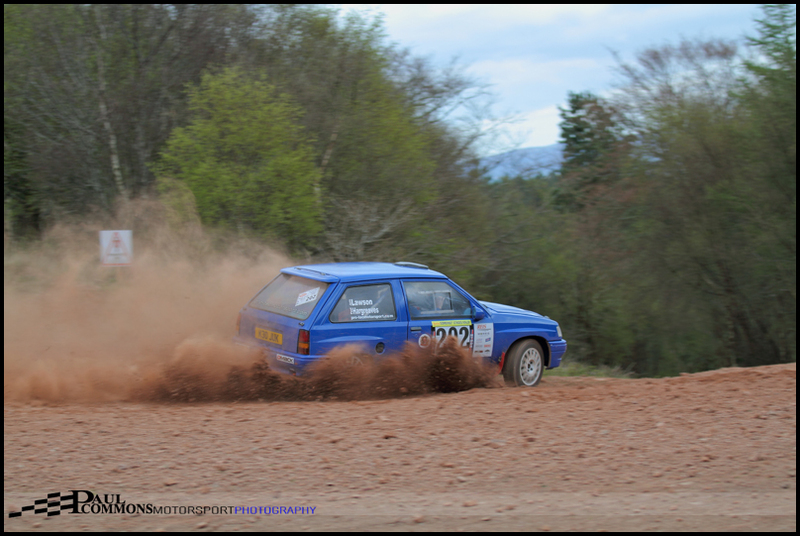 With the Sportscar racing season starting this weekend, my next rally is looking like being the Dukeries in June. Hopefully Britain will be in the middle of a heatwave by then …. More images will appear on my Facebook page. Previous PostStone wins as Tinn’s hopes go up in smokeNext PostEaster Weekend Sportscar Egg-Stravaganza!